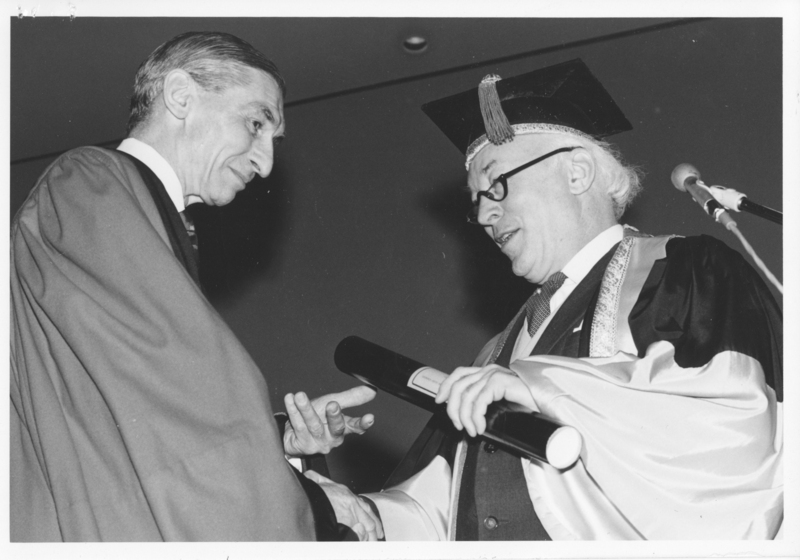 Item is a photograph of Dr. Laurence Cecil Barlett Gower (vice-chancellor of the University of Southhampton, England) receiving an honorary degree from Dr. Henry D. Hicks. The photograph was taken at the 1973 law convocation ceremony at Dalhousie University. The photograph is accompanied by an index card with information about the photograph.